Enjoy life at The Fairways Apartments in Fitchburg located on Nine Springs Golf Course and surrounded by mature landscaping and spectacular views. We are conveniently located in the Leopold neighborhood which is just minutes away from all that downtown Fitchburg has to offer. The Fairways has one and two bedroom apartment homes with an array of amenities including an outdoor pool, tennis courts and on-site laundry facilities. 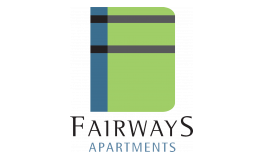 We invite you to call The Fairways Apartments home.